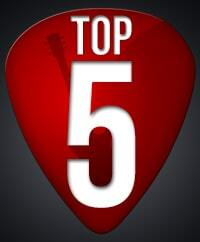 Hello everybody, welcome to this month's edition of the most watched video tutorials on TheGuitarLesson.com. If you're a regular reader of this series of posts, you might notice something different with the site. We implemented a new design 🙂 I'll write a separate post on this though, let's stick to what you're here for right now. So January is an exiting month, since there are lots of new guitarists (people who got a guitar for Christmas) looking for how they can learn guitar in 10 days. Lot's of google searches going on right now. To demonstrate, my post on How long it takes to learn guitar was the most viewed page on the site by a looooooong shot. But really, ridiculously long shot. Lot's of new people signed up for lessons on the site, and also on GuitarTricks and Jamplay, the other 2 popular guitar learning sites. Now let's have a look at what you guys have been up to. It goes without saying, that the most watched lessons were the ultra beginner ones on how to read guitar tabs, how to read chord charts, and the 1st basic lesson. Here are the most watched song lessons though. Wow, this lesson is in the top 5 for the 3rd month in a row. I had no idea James Arthur was so popular. 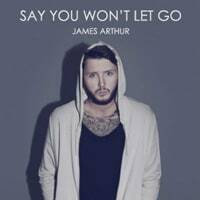 Say You Won't Let go is a great fingerpicking song suitable for beginner-intermediate students. There are a few techniques that make it too hard for people just starting out, but if you've been playing for a few months and you have your basic chords and chord changes down, you'll do great. 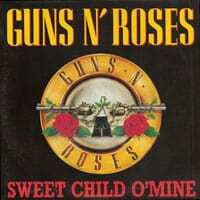 It is the 2nd month in a row that this Guns n Roses classic made it to the top 5 list. I'm pretty sure it's because of the epic solo Slash plays. FYI if you haven't learned this song yet, the solo is really easy, it's played on the minor pentatonic scale. This one belongs in the arsenal of all electric guitar players, so make sure you learn it. Seeing this wonderful song in the top 5 list brings joy top my heart. I love this song, it always makes me think of my little boy, and how he's going to grow up one day. 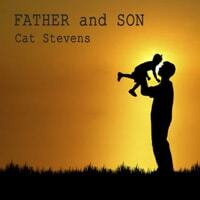 This is a strumming acoustic song, and has a few tricks up it's sleeve, particularly timing wise. Great practice to improve your rhythm guitar playing, and of course, to learn a great song. 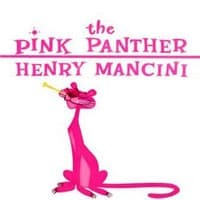 Once again, the Pink Panther theme is near the top of the charts. The TGL charts that is 🙂 I'm happy you guys are learning to play this one, since it will teach you a lot of very important skills you will be using on the guitar, regardless of whether you prefer the acoustic or electric guitar. By the way, this was one of the first songs I ever learned back in the day. 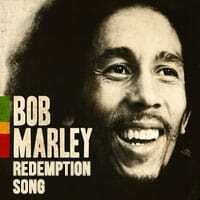 And at the top of the charts is a favorite of beginner guitarists all around the world, Redemption Song. To play this song, you just need to know a few basic chords, and how to change in between them. Of course, it provides great practice in these skills as well. And that concludes the list for the month of January. Keep on practicing, and I'll see you in one of the lessons!